Back to school shopping suggestion: head down to Puma store. Don’t miss the Puma DJ shoes. The new trainers inspired by Puma vintage basketball collection actually “play” music. Oh yea! The sound of your movement to be exact. 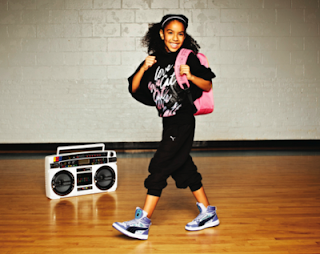 Walk, run, jump or dance to activate 3 different sounds heard through the speaker in the tongue of the sneaker. Imagine the fun for our little rock stars. You will be pleased to know, there is an “off” button.